The Joint Programming “Water Challenges for a Changing World” aims to achieving sustainable water systems for a sustainable economy in Europe and beyond. WatEUr prepares and supports the successful development and implementation of the Water JPI. WatEUr permeates the structures of the Water JPI to impulse progress towards JPI objectives. 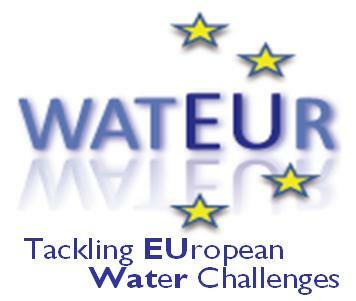 In a broad sense, WatEUr actively contributes to the overall EU objective of building the European Research Area (ERA). Now that Water JPI Vision and Management Structure have been developed, actions are needed to sustain the current structures and to progress in activities that will make the Water JPI instrumental to the Research, Development and Innovation community, and effective in tackling European water challenges. WatEUr and Water JPI benefit researchers, policy-makers, water authorities, utility operators, industry, farmers, and citizens by developing new solutions to water challenges. Solutions include safe supply of clean drinking water, improved protection against new emerging water pollutants or pathogens and water hazards like floods and droughts, and a progressive shift towards a more water-efficient economy in Europe. WatEUr and Water JPI promote the harmonization of research agendas and activities in partner countries, support European leadership in water science and technology, foster effective use of Europe's limited public research funds, and pave the way for efficient sharing of best practices across national programmes. Water knows neither political nor administrative borders. As a matter of fact, most of the European territory falls within transboundary watersheds. WatEUr assists the Water JPI in addressing fragmentation, preventing duplication of efforts and guaranteeing sufficient critical mass.